After more than a year of badgering by customers waiting for the performance-enhancing technology to be enabled, a Dell representative has stated that though both the 9550 and 9560 support Speed Shift, their engineers are not in the mood to enable it. For over a year, Dell XPS 15 users have been waiting for Dell to enable a performance-enhancing and battery-life-increasing feature called Speed Shift via a BIOS update. It looks like the wait is over, because Dell has officially decided that they... simply aren't going to enable the feature, ever. 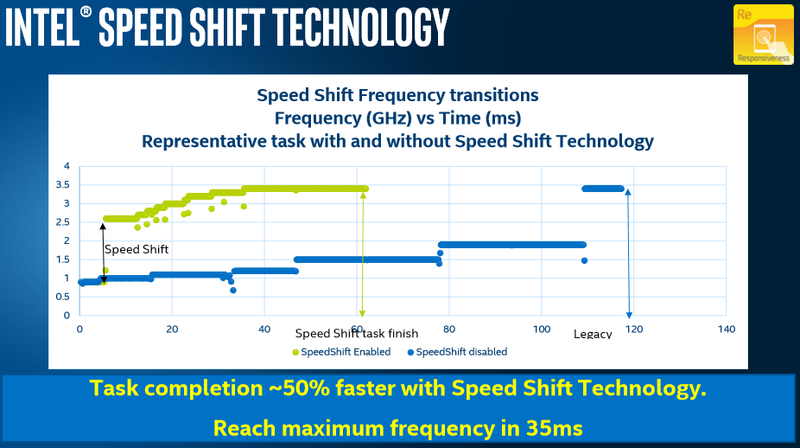 Intel's Speed Shift technology, first implemented with their 6th generation Skylake CPUs and improved upon for Kaby Lake, is a method for changing CPU frequency that is both faster and more efficient than the Speed Step technology it superseded. While Speed Step required calls to be made to the OS, which added an additional layer of inefficiency to the changing of CPU frequency, Speed Shift is performed at the processor level. In a response to a user's question regarding enabling the feature on the notebooks, Dell representative Justin C replied "Dell engineering has advised me today that Speed Shift will not be enabled on the 9550 and 9560", without elaboration. As both generations of processors support the performance-enhancing technology by default, Speed Shift can be manually enabled by knowledgeable users through software such as ThrottleStop or R/W Everything. However, having the technology enabled through a BIOS update would be a better, simpler solution.